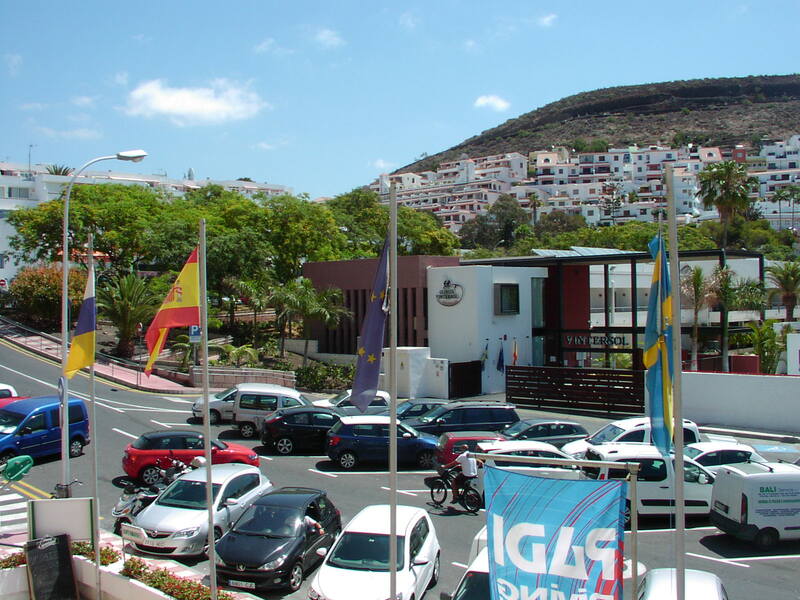 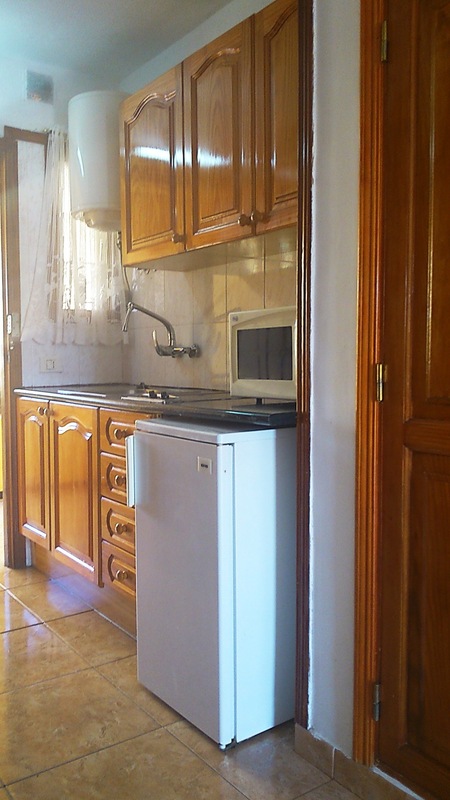 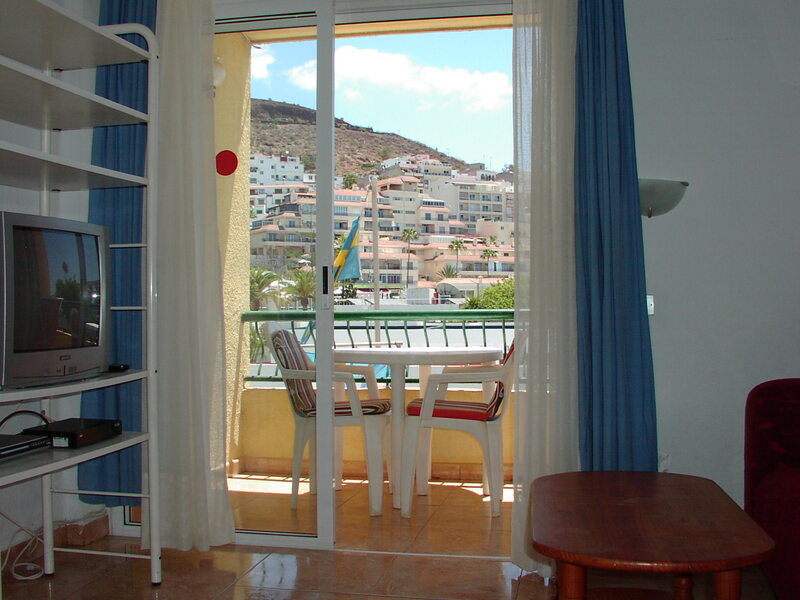 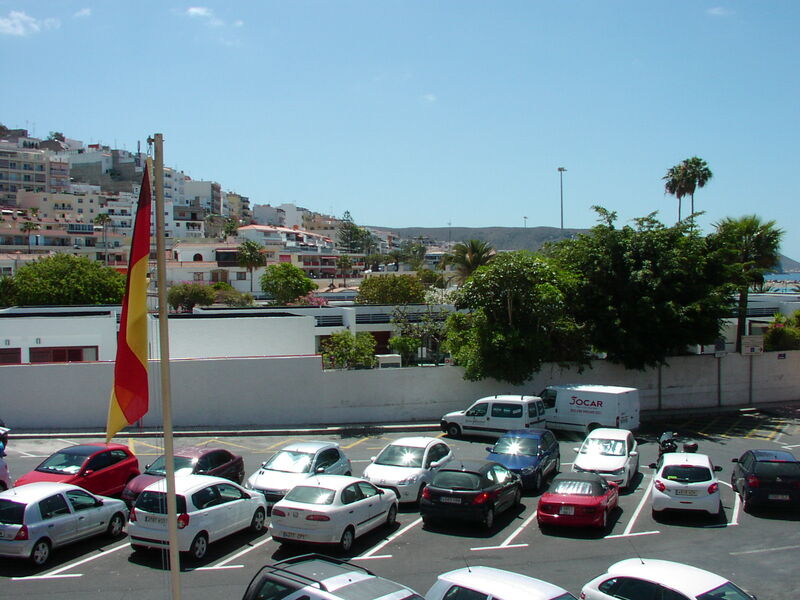 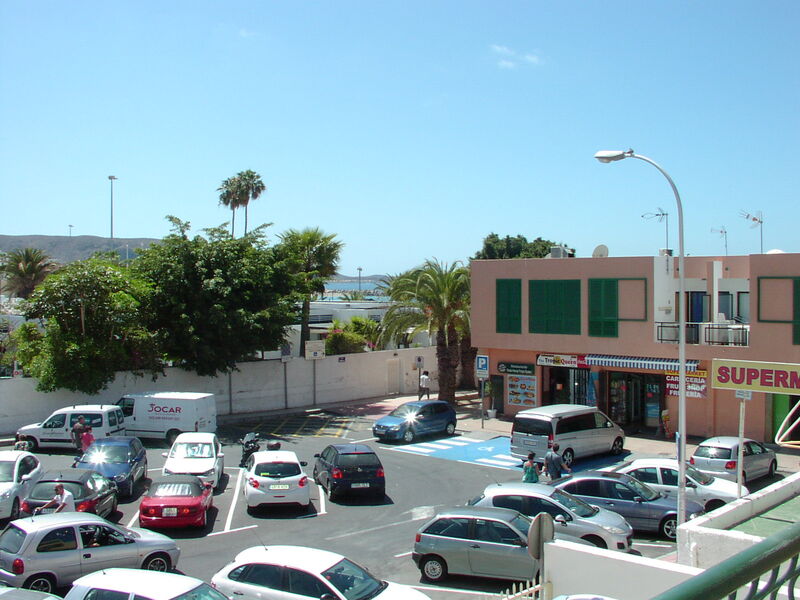 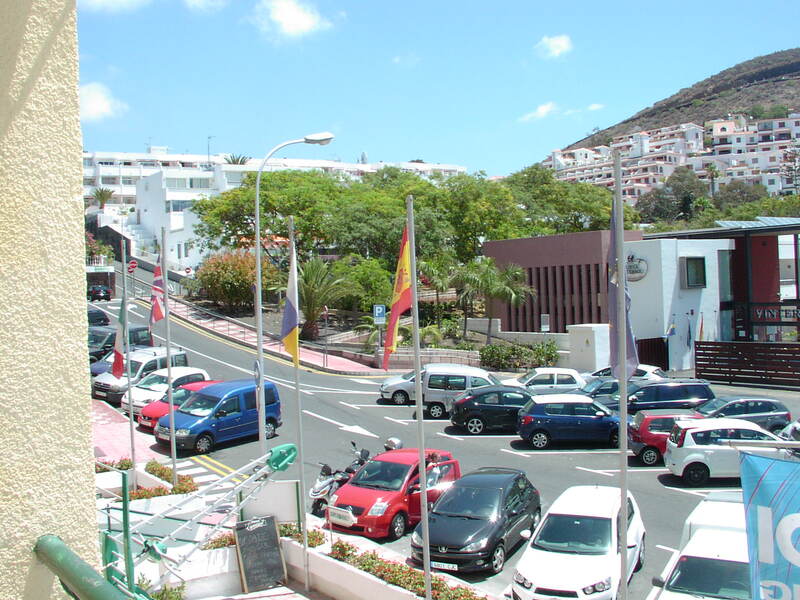 Torres Del Sol, Studio (Ref 27), Los Cristianos. 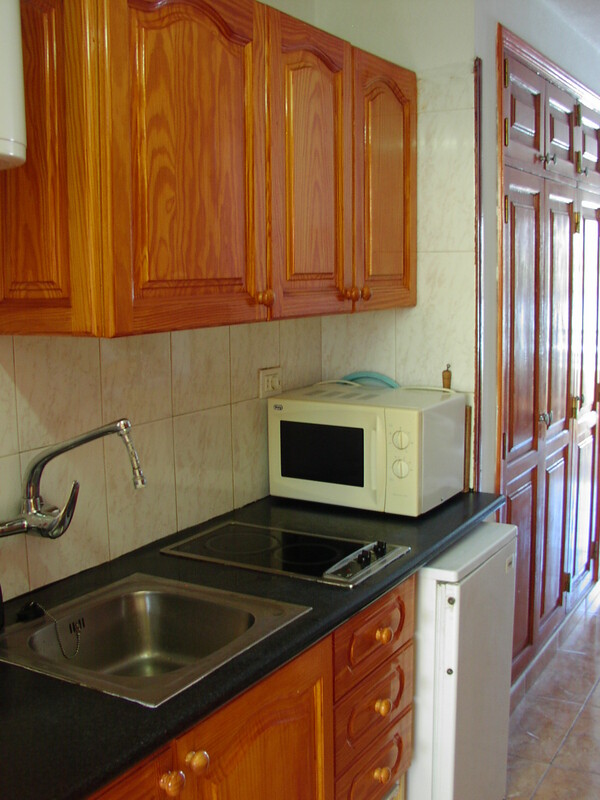 The Studio Apartment in in Block C4, 2nd Floor and is for upto 2 Persons. 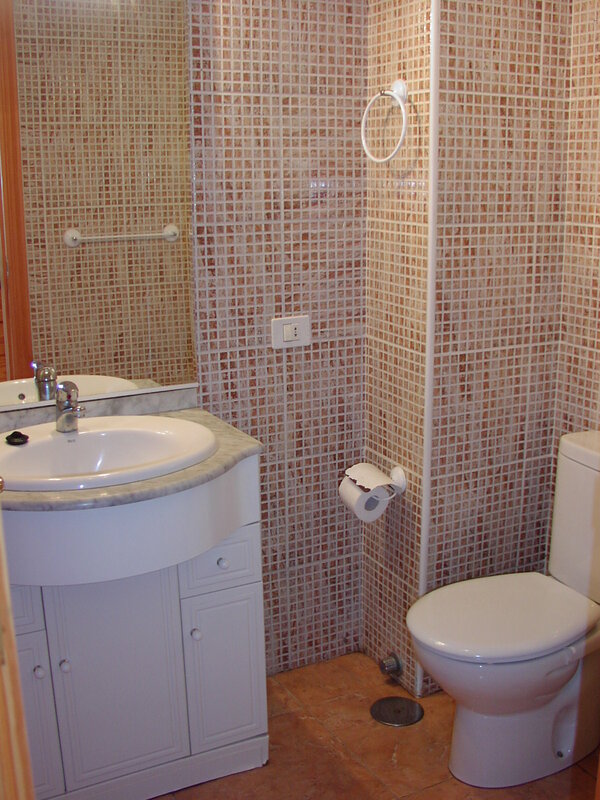 The bathroom has a walk in shower, sink with cupboards underneath, toilet, bidet and Washing Machine. 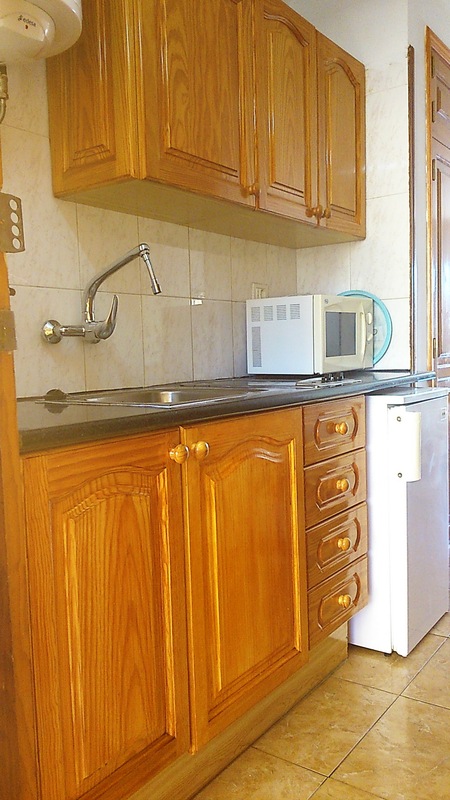 The kitchen has enough pots and pans, cups, plates and cutlery, A microwave and fridge. 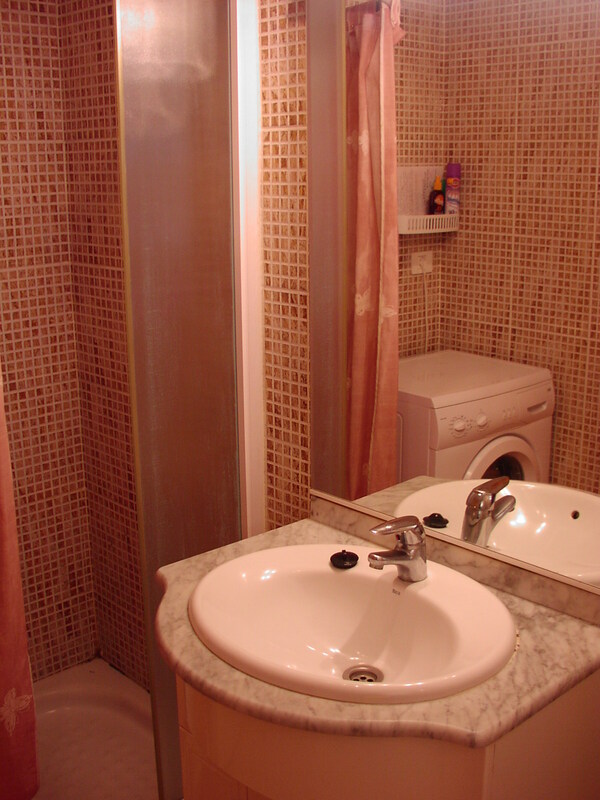 There are Twin Beds. 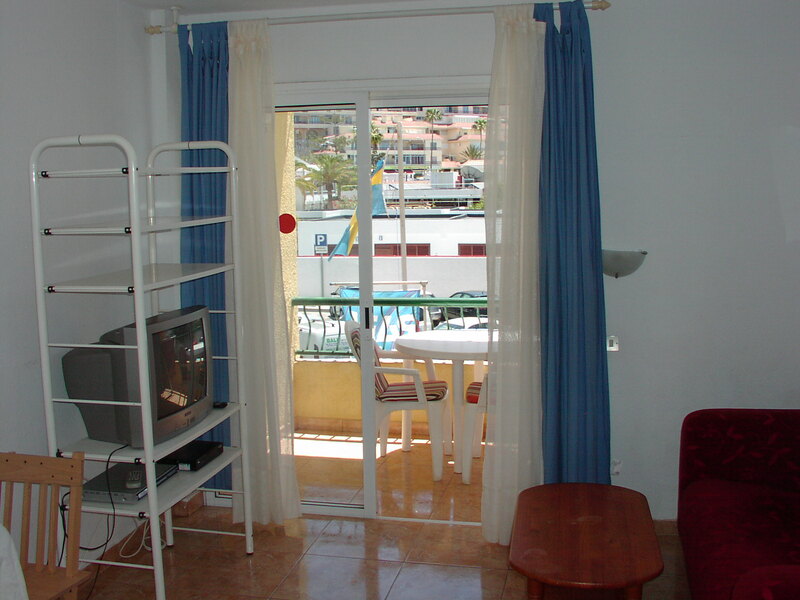 A TV, with Sky Freeview and radio. 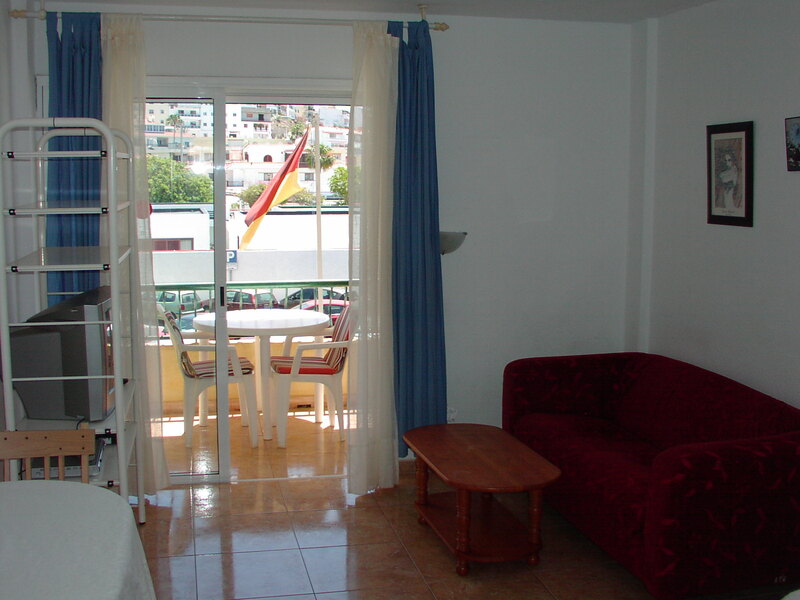 DVD, Apt also has Wi-Fi. 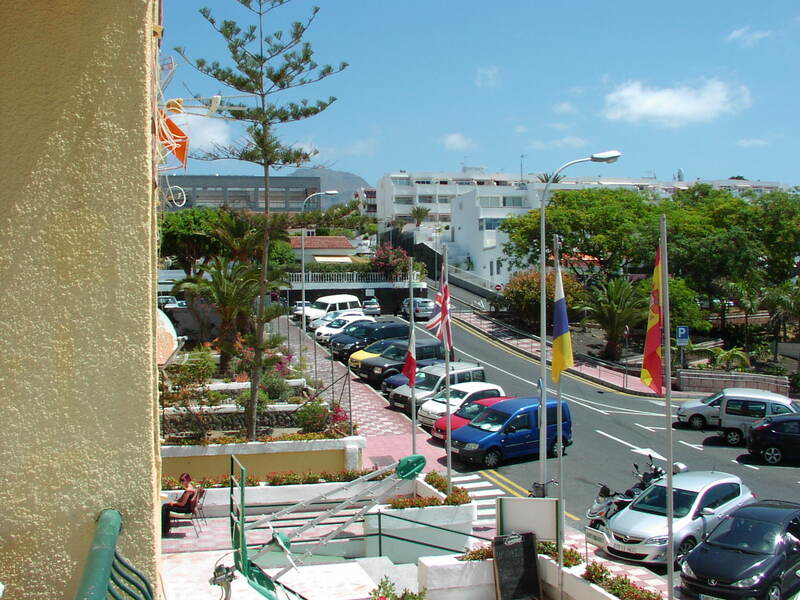 The balcony overlooks the car park with Views of the mountains and you can see a corner of the sea. 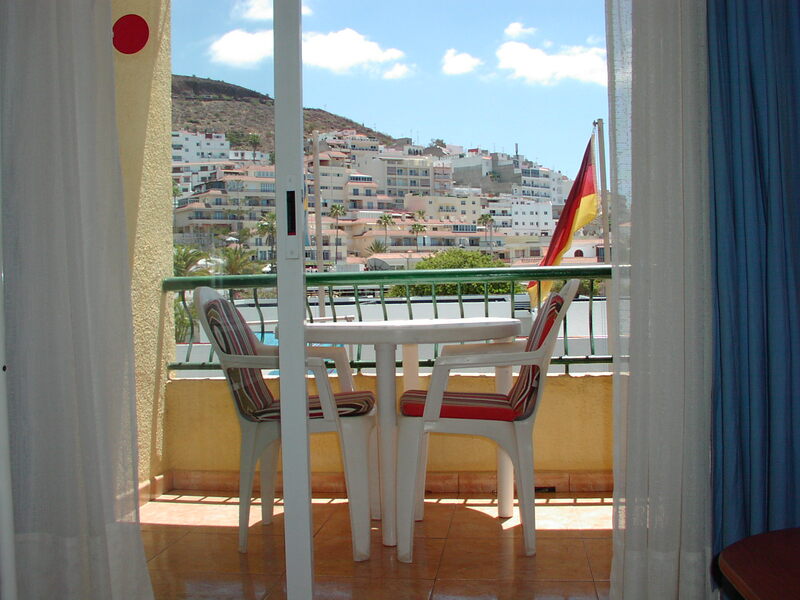 This Balcony get the Morning Sun.